The iconic and talented Joey Dosik joins me for a conversation about songwriter, vulnerability and how he got to where he is today. Trish Chisholm, guitarist for The End of the Ocean joins me for an intimate conversation about pushing her career and what's next for the successful band. Ayla Tesler-Mabe joins me for a conversation about her life, career and all the cool things her bands are doing. The drummer for Dawes, Griffin Goldsmith joins me for an conversation about why his band has been successful for over a decade. Donovan Melero of Hail the Sun joins me for a very conversation about what how he became a successful booking agent and how that helped him succeed with his band. CRAY (Cheney Ray) joins me for a very deep and honest conversation about what it's like to be a woman in the music industry and how she overcomes obstacles that get in her way. Tim Henson of Polyphia joins me for a very honest conversation about his life, career and "unapologetic" way of life. Chris Pritchard plays guitar for Youth. We had a great conversation about the UK music scene, how he started his career as a touring muscianlife with ADD and how he used that condition to fuel his love for music. Dan Palmer plays lead guitar for Death By Stereo and Zebrahead. We had a great conversation about his career, how he started playing professionally and how he found his unique sound. Tate Logan is the lead singer for A Band Called Happy. We had a deep and meaningful conversation about death and loss... something that's hard for anyone to talk about. Tate found himself experiencing loss at a very early age but he found a way to use his creativity to make something positive out of the experience. Caleb Hawley is an amazingly talented songwriter and musician. In our conversation we talk about doubts, life experiences and how he approaches life so that he can always move forward. Food for thought: We're featured on Anchor! Let's maximize the opportunity. Welcome to Food for thought, a segment where I share my personal thoughts and approach to life. Today I wanted to take a moment to thank all of you for the support because as of last week the Nebula Music Podcast is featured on Anchor Podcasts!!! I'm so excited... but now what? Am I maximizing this opportunity? This is an important question I think all of us should ask ourselves when presented with opportunities. Casey Cooper is YouTube's biggest drummer. He started posting years ago, before anybody was really using YouTube. Since then he's amassed over 1.7 MILLION subscribers. I'm excited to bring you this interview because Casey is a huge inspiration for me. He's the reason I started my social media career and it blows my mind that he's on my show. The Mowglis is a very successful band with a couple hits under their belt. Members Andy Warren and Matt Dipanni talk to me about how the band got started, how they became successful and how their music is evolving. Welcome to Food for thought, a segment where I share with you my personal thoughts and approach to life. I want you guys to get to know me better and start dialogues with me. So lets begin with one of my insecurities.... being open with people. Yikes! San Holo is one of the most talented EDM artists today. In our interview, he talks to me about why he started experimenting with electronic music, his big break and how his music is evolving. If you're a drummer, you know who JP Bouvet is. A talented drummer, JP has become a legend in a very short time. He talks to me about his career, what led him to his breakout success and how he kept that momentum going. David Dockery is a talented drummer who's videos have taken the internet by storm. He is known for taking famous movie/tv clips and playing drums over the audio, syncing every hit perfectly with what's going on screen. He talks to me about how he came up with the idea and how he keeps every new video fresh. Dmitry Gorodetsky is a talented musician who plays for Charlie Puth. He talks to me about his life, struggles and what motivated him to pursue his dream even when things were looking down. Rafe Offer, one of the original founders or SoFar sounds, talks to me about his career, how SoFar Sounds was created and what makes this concept so successful. Cory Wong, guitarist for Vulfpeck, talks to me about his career, how he started playing with Vulfpeck and many other great artists. Todd Pritchard gives his personal advice on when its time to move to a new city for musical opportunities. Matt Halpern, drummer for Periphery, talks to me about why he became an entrepreneur and what exciting new projects he's working on right now. Chris Kamrada, drummer for Dashboard Confessional, talks to me about his early career, the bands he's played for and what led him to land the gig of a lifetime. Noelle Scaggs, co-leader of Fitz and the Tantrums, talks to me about her career, song writing and what makes Fitz and the Tantrums a successful band. Take a listen! This has been an incredibly busy month for me so I decided to take a couple mins to talk about what's been on my mind lately: Balancing working with your lifestyle. Yvette Young is incredibly an incredibly talented guitarist. She's a multi instrumentalist who chose to step away from music for 5 years due to health complications. It was during this hiatus that she taught herself guitar and quickly built a fan base. And rightfully so! She's arguably one of the best guitarists on Instagram today. I was delighted to learn more about her life and how she approaches music. Joel Manduke is a human swiss army knife. He’s a very successful drummer, creative director, YouTube producer... he does it all. In our conversation he explains how one phone call and lucrative opportunity changed his life. Pickup's very own Sam Blakelock explains how to film a good video for Instagram. Take a listen! I'm really grateful for all the support from everyone who's tuned in. It's been a challenging road but I couldn't be any happier with where it's at today. I have more amazing guests coming on the show next year make sure to tune in! Elmo Lovano does it all! He is an absolutely incredible drummer who’s toured and worked with industry giants including Christina Perri, Miley Cyrus and Skrillex. He is the founder and CEO of JammCard, the industry’s most innovative private social networking app for musicians. Even though starting a company is not easy, Elmo was determined to make his vision come to life. In our conversation, Elmo breaks down where the inspiration for JammCard came from and the steps he took to get it off the ground. Connor is suuuuch a cool dude and full of great advice. If you're a drummer, you don't want to miss this one. I promise that you'll leave this episode feeling more inspired than ever before! I feel honored to have had the chance to speak with Michel’Le Baptiste. Not only is she incredibly talented, she’s also managed to play with industry heavy hitters like Beyonce and Fifth Harmony. Yeah… she’s already played with some of the biggest acts in the music industry and she’s only getting started. Rotem is a very talented guitarist who’s taking the Jazz scene by storm. His latest album “Antidote” has seen tremendous success and continues to rise. He’s also developed a strong online presence with over 30,000 followers on Instagram alone. Though he’s achieved much success, Rotem faced many challenges early in his career. In our conversation we dive into how he overcame gigantic obstacles to pursue his ultimate passion. Siros is one of my favorite drummers on Instagram. He started the “Fill of the Day Movement” which propelled him to the top of the drumming world. In less than 3 years he has accomplished feats that take most drummers decades to achieve. One of these achievements is receive an endorsement deal from Meinl Cymbals, which is ridiculously hard to obtain. His story is inspiring and can’t wait to share our conversation with you! Hannah Murphy is a very talented classical guitarist who’s known for her creative videos on Instagram. In less than 2 years she amassed a fan base of over 80,000 people. Classical musicians are not known for being heavily involved with social media. Hannah was one of the first classical musicians to take advantage of social media and it’s paying off. Her music is reaching thousands of people every day and is inspiring other classical musicians to do the same. Todd Pritchard is a very talented guitarist who’s known for his unique style. Even though he grew up in Jersey, Todd quickly found himself moving to Philadelphia. I found this interesting seeing as how most musicians choose to move to New York. I was amazed to learn about Philadelphia’s exciting music scene and how many world class musicians live there. Being in this environment, surrounded by so many talented musicians served as a way for Todd to continuously challenge himself and improve. A lifestyle he continues to practice to this day. Taylor Robinson is a very talented drummer who’s done everything from touring with BIG artists, producing his own album to even running his own start up. However, I was surprised to discover that Taylor faced challenges from an early age, and I mean BIG challenges. I was amazed at how he dealt with those issues, using them for good rather than letting them bring him down. So I knew I had to sit down with Taylor and pick his brain on the matter. Bianca Richardson is a very talented drummer who’s not afraid of going after her dreams. It’s this attitude that scored her an amazing gig playing with the legendary Marcus Miller and other well known artists. For being relatively young, she’s already achieved more than most musicians twice her age. She’s not afraid to take risks and is a force to be reckoned with! Emily Elbert is a very talented singer songwriter who’s traveled all over making great music. She’s so talented that Eseperanza Spalding personally asked her to join her on tour. You heard me right, THE Esperanza Spalding. She’s absolutely brilliant and fearless. She takes risks with music, using it to talk about issues that she’s passionate about. I learned a lot from Emily and I can’t wait to share this conversation with you guys! Horace Bray is a well known guitarist who overcame a terrible setback that nearly destroyed his music career in college. This set back was so bad that he was even beginning to train as an architect. However Horace did not give up and discovered a new way to play music. He was reborn as a better musician which has led to his success. This is THE EPISODE that every musician needs to hear. I guarantee you that you’ll feel inspired to push past all your obstacles after hearing his story. Sam Blakelock is an amazing guitarist based out of New York and brilliant when it comes to social media marketing. Using marketing skills that he learned on his own, Sam quickly grew his Instagram page pickupjazz from 0 to over 240,000 followers in very little time. If that wasn’t impressive enough, he also consults various companies on social media marketing. He is absolutely BRILLIANT and wanted to learn more about his strategies, thought process and work ethic. JC Clifford is the co-owner of Drumtacs and an absolute champion when it comes to social marketing. He’s built a large community of drummers on Instagram which helped make Drumtacs a household name. He continues to live an active lifestyle and always pushes his ideas forward. Dan is an incredible drummer who tours with Australia's biggest bands including Bliss N Esso, 28 days and Behind Crimson Eyes. As if that wasn’t impressive enough, Dan also holds an important position with Monster Energy Drink and teaches over 40 drum students on a regular basis. His lifestyle is the prime example of what can be achieved with focus and prioritizing opportunities. Tosh is an incredible drummer who is known for his energetic Instagram videos and for being Nik West’s drummer. At only 16 years old, he’s already a monster in the music industry. With BIG endorsements and an unbelievable gig that would make any musician envious, Tosh Peterson is playing his cards right. And he’s just getting started! Saya Gray is a bassist whose amazing skills and lively personality have helped her gain an online fanbase! She recently moved to the UK where she is in high demand and always working on new music. This episode is special because it took a life of its own. We ended up talking about her experiences as a woman and the challenges she faced. It isn’t easy for women in the music industry and hearing Saya talk about the issue is refreshing and eye opening. Elise Trouw is an unbelievably talented drummer who’s become an Instagram Sensation! I guarantee you that any “drum” related search on Instagram results with her videos at top of the list. She’s only 18 years old and continues to dominate the drumming community. In our conversation we talk about her experiences as a solo artist, how she got started and where she plans on taking her career. Beau Askew is an incredible drummer based in Northern California who used brilliant Instagram and Facebook marketing strategies to promote himself as a drummer. He constantly uploads fun and educational videos which have allowed him to become one of the most sought out drummers in his local music scene. In our conversation we talk about his successful Facebook ads, how to come up with video ideas and how to start your own music account. Carlo Loielo is an absolute BEAST on the drums who makes some of the coolest beats you’ll hear on Instagram. In our conversation we talk about how watching other Instagram drummers inspired him to post his own videos, how it’s benefited his career and how he managed to balance school life with his drumming. Garrett Goodwin has taken the drumming community by storm. Not only is he an amazing drummer, he’s also a well versed business man who runs his own nonprofit. He tells the story of how he got started, how he scored the biggest gig of his career and how social media is helping musicians get the BIG gigs. Kristina Schiano is instantly familiar, not only because she is an incredibly talented drummer, but because her YouTube videos have been seen by over 4 million people. But she wasn’t always the famous YouTube drummer that we know today. She tells her story on how she got started, what challenges she overcame and how she managed to create a successful drumming career for herself. Join Eddy Barco, LA based session Drummer and Instagram Influencer, for the Nebula Music Podcast; an interview series that teaches you how to build and grow your music career using social media and other creative ways. 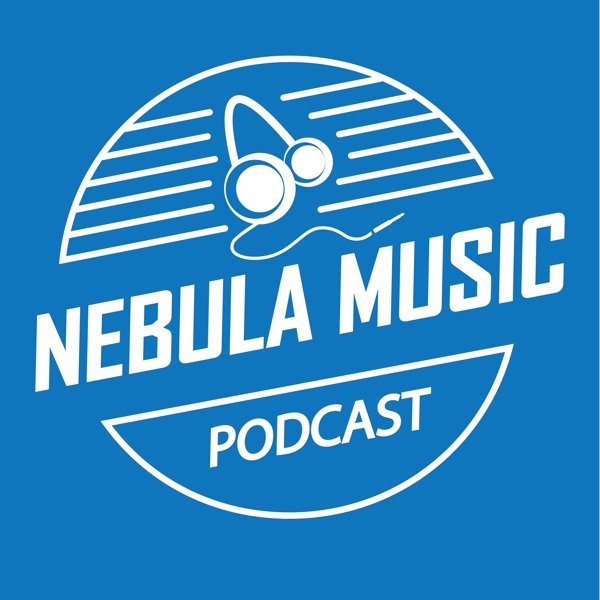 Featuring interviews from musicians and entrepreneurs that used social media to catapult their career to the next level, The Nebula Music Podcast will dive into actionable strategies to propel your career to the next level, no matter what stage you’re on. In this intro episode you will get know more about Eddy’s career and the overall goal of this podcast.